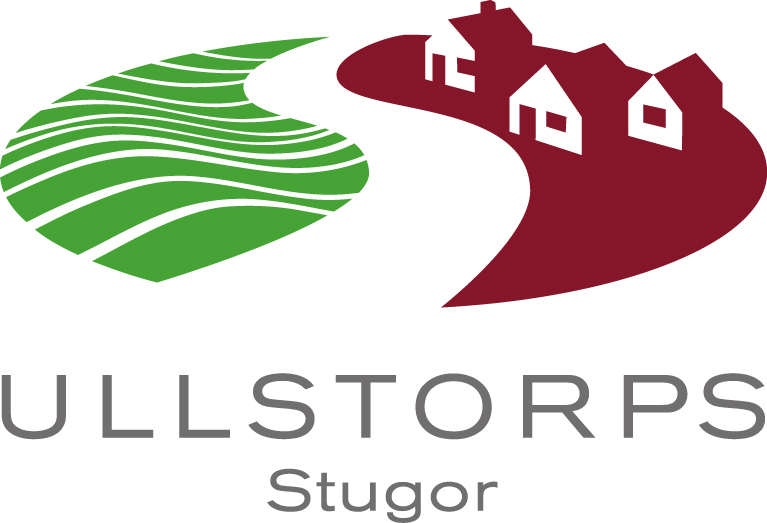 Drive to Höör and continue towards Skånes Djurpark, along the way you will see the sign “Ullstorps Stugor”, follow it. Continue past Skånes Djurpark about 1 km straight ahead, until you see the sign “Ullstorps Stugor”. Turn right. Follow the road past Ullstorps Gård (a large farm with red buildings), down a sharp slope and straight on past an old mill pond on the right. That’s it! The reception is in the big red house. Welcome! From Höörs train station take bus 441 to Ullstorp Lundagård. Travel time about 8 minutes (according to Skånetrafiken’s travel planner). At the bus stop there is a sign ”Ullstorps Stugor” pointing to a road on the right hand side. Follow that road about 1 km down the hill. There are some more signs (Ullstorps Stugor) on the way down, so trust the signs and you won’t get lost :-). The reception is in the big red house at the bottom of the hill. Welcome!